Hi guys! It's nearly the weekend! I have a couple more pink manis for October for you! There won't be a video tutorial for this first one since I accidentally pressed pause instead of record and didn't get any of it on film! Oops!! 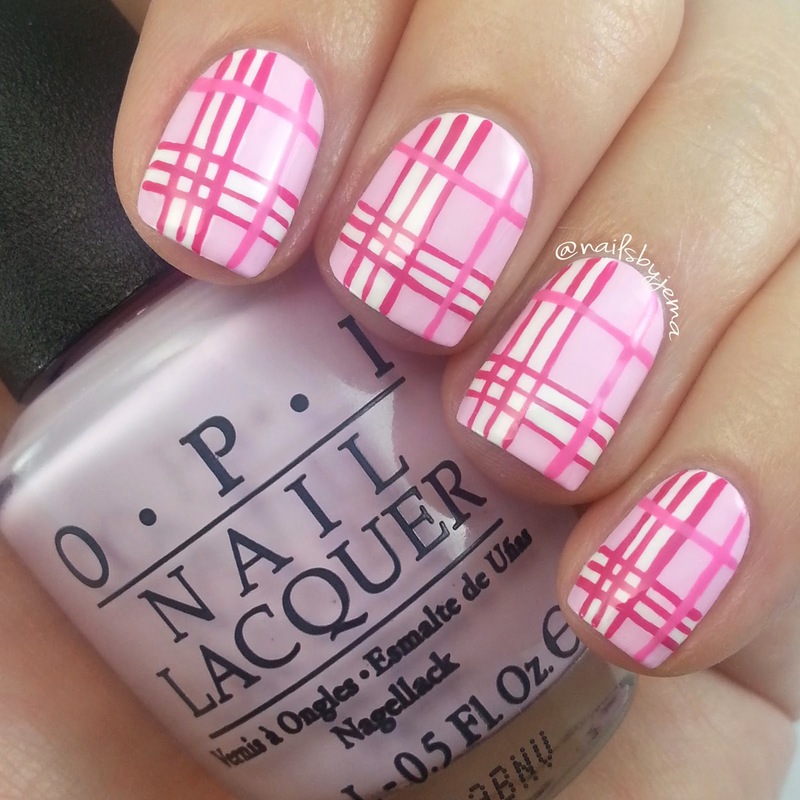 But pink plaid is pretty! Polishes used: Picture Polish 'Candy' & OPI 'Mod About You', 'Kiss Me On My Tulips' & 'Alpine Snow'. I used a long bristle nail art brush from eBay to paint the lines. Topped with @glistenandglow1 HK Girl Top Coat because it's the only quick drying top coat that doesn't smudge art! This next one I remember seeing a while ago by deanne29 and @kayleighwaleynails on Instagram and I quickly sketched it onto one of my nail art templates (you can find them HERE) so I could do it later on. So I did it pink for Breast Cancer Awareness Month!! I love this take on the half moon manicure. 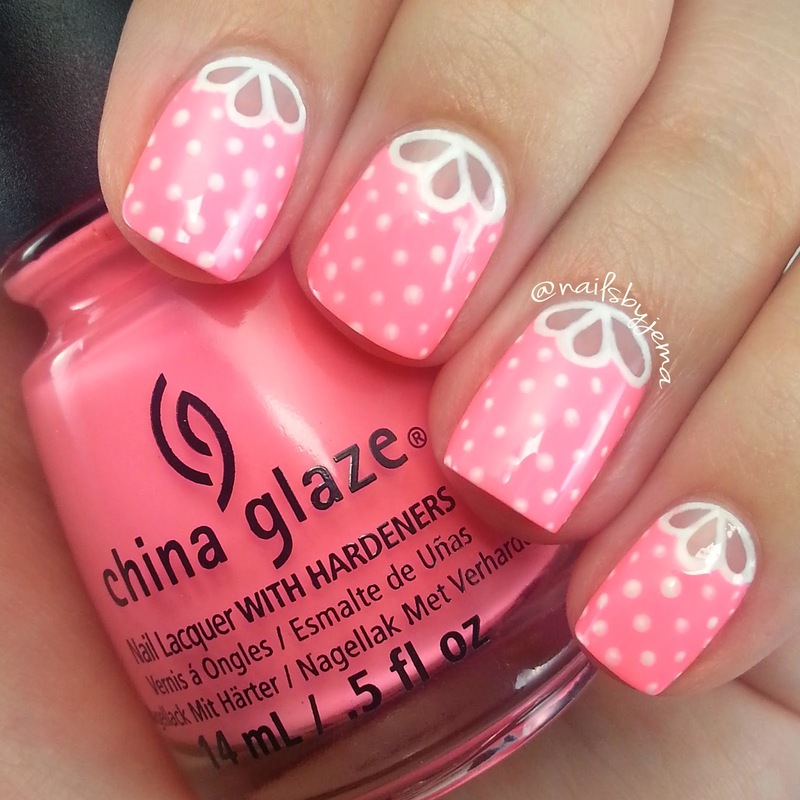 Polishes used: China Glaze 'Neon & On & On' & 'White On White', a white Uniball Signo gel pen and a dotting tool. Super girly, easy and quick. See how easy the gel pen makes mani?? SO helpful!! French Tip Nails.. With A Zig and a Zag!